This is the time of year when we celebrate the holidays with friends and loved ones. We give thanks and rejoice for our many and varied traditions. At Gustavus, our traditions include Christmas in Christ Chapel, the Festival of St. Lucia, the Angel Tree, snowy walks to class, and so much more. 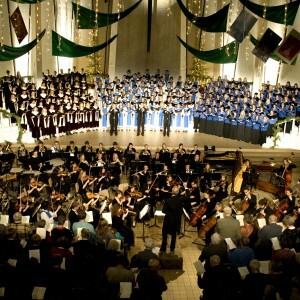 Some of these traditions are highlighted in the 2009 Gustavus holiday greeting. As you enjoy the images from campus this winter, you will hear the Gustavus Choir performing “The Lightener of the Stars” by Daniel Gawthrop. This holiday season, you may also listen to segments from this year’s Christmas in Christ Chapel on many local radio stations. A complete list is available online.